As a result has established this no-tolerance Anti-Spam Policy. ServiceMaster.co.za will occasionally update this Anti-Spam Policy. Clients of ServiceMaster.co.za have agreed in their contract to comply with this Anti-Spam Policy. Specifically, each client agrees not to use the ServiceMaster.co.za services to send unsolicited email or bulk email, whether or not for commercial purposes. ServiceMaster.co.za reserves the right to determine in its sole discretion what constitutes actionable spam, as well as what measures are necessary in response to such spam activities. (b) Unsubscription – Each email communication marketing ServiceMaster.co.za services contains an “unsubscribe link”. If ServiceMaster.co.za’s web site visitors use the link to request that they be unsubscribed, its subscriber lists will automatically be adjusted to eliminate the prospect of sending unwanted email to such persons. Additionally, each person on its subscriber list has the option of unsubscribing through a web-based method provided on the ServiceMaster.co.za web site. (c) Purchased Mailing Lists – ServiceMaster.co.za does not purchase email lists for mass mailings. ServiceMaster.co.za only allows opt-in mailing lists. Purchased or inherited lists are by definition not opt-in. Similarly, email lists relating to particular subject matter and then used for an unrelated topic will not be used. 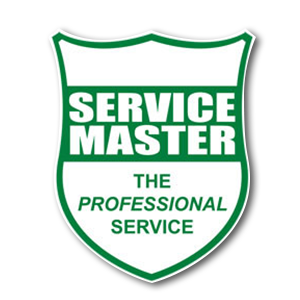 (d) Assisting any person in using the services of ServiceMaster.co.za for any of these previously mentioned activities. If you believe that you have received spam from or through ServiceMaster.co.za’s facilities, please send a complaint from your email account along with the unsolicited email, with completed header, to your ISP. Please provide any other information that you believe may help in the investigation. ServiceMaster.co.za supports the efforts of various organizations working to responsibly eliminate spam activities. However, if an individual has opted-in to receive email from ServiceMaster.co.za and then falsely or maliciously files a spam complaint against ServiceMaster.co.za, ServiceMaster.co.za will cooperate fully with the appropriate agencies to ban the complainant from use of anti-spam software and the Internet community.